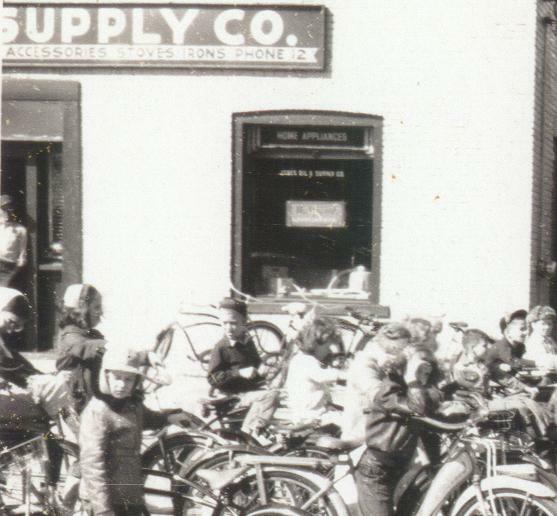 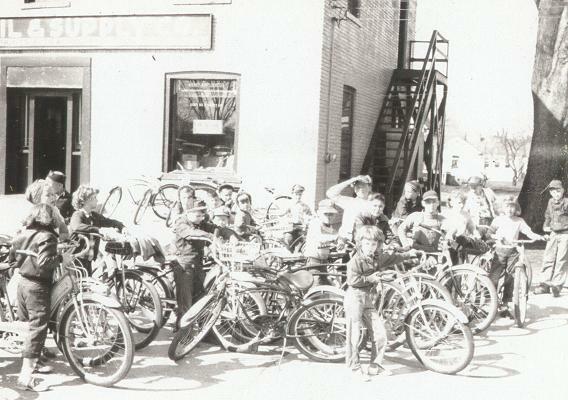 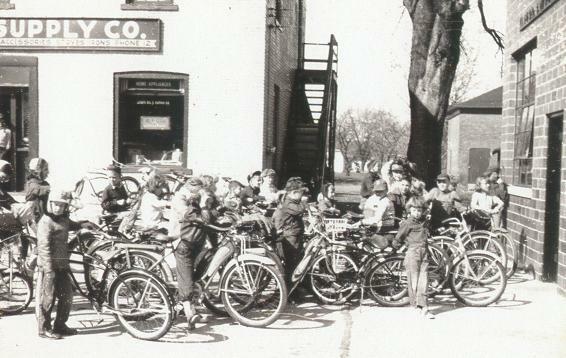 A lotta kids on Bikes hanging aroud in from of Jones Oil & Supply(Late 1950s era).I dont know what the event was. . . . ..